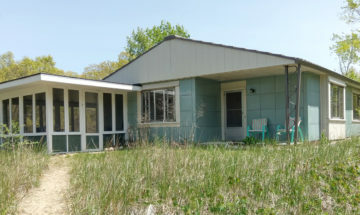 One family’s journey to resurrecting a mid-century Lustron for their vacation home. 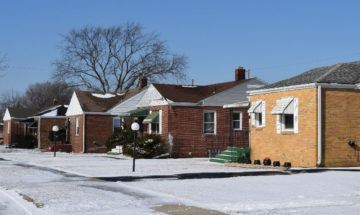 Homebuilder Andrew Means got his start in Gary and became a trailblazer for African American real estate developers, leaving an indelible mark on the city’s architectural legacy. 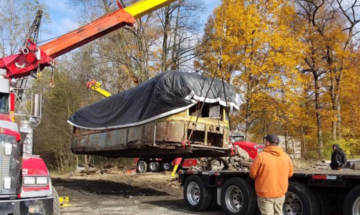 The Hoosier Heartland Trolley Company is using a grant from Indiana Landmarks and the Central Indiana Community Foundation to restore Streetcar No. 153, the last surviving streetcar from the Indianapolis Railways electric streetcar system. 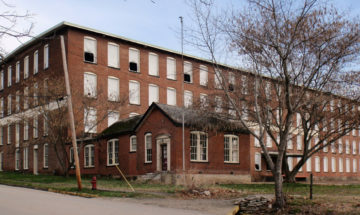 A multi-million-dollar project is poised to transform one of Madison’s highest profile landmarks, a preservation save a long time in the making. 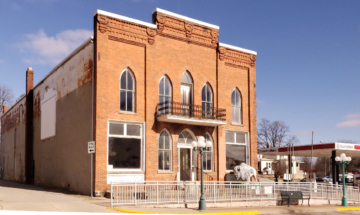 A pair of lawyers from Ligoinier stepped forward to rescue Albion’s historic Opera House from long-term limbo. 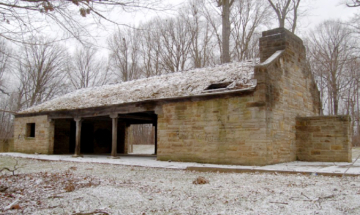 A public-private partnership aims to restore Fort Wayne’s WPA-constructed Foster Park Pavilion #3 to its original appearance. 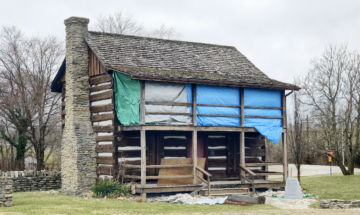 Thirty years after its reconstruction, Lawrenceburg’s c.1820 Angevine Cabin is undergoing top-to-bottom restoration. 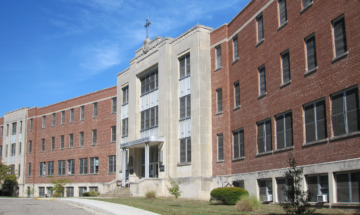 The Sisters of Providence embraced a creative solution to preserve a mid-century building on the campus of Saint Mary-of-the-Woods College in Terre Haute. 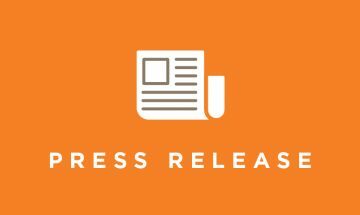 In partnership with Indiana Dunes National Park, Indiana Landmarks is accepting proposals for the restoration and long-term lease of the House of Tomorrow.